90 + One liners were asked in AIIMS PG November 2016. 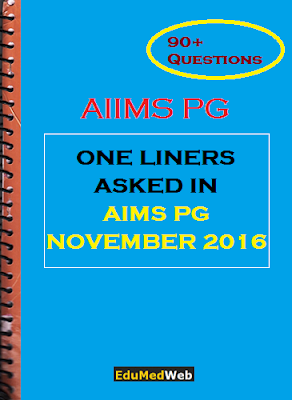 Here we have collected All One liners Questions asked in AIIMS PG November 2016. Based on 90+ authentic Questions and Answers. 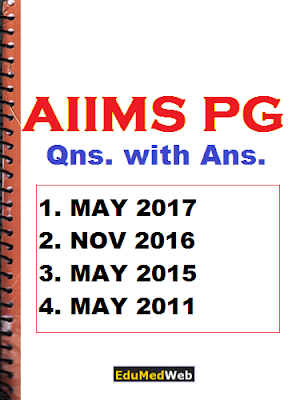 These one liners Questions are very important for Coming AIIMS PG Nov. 2017.